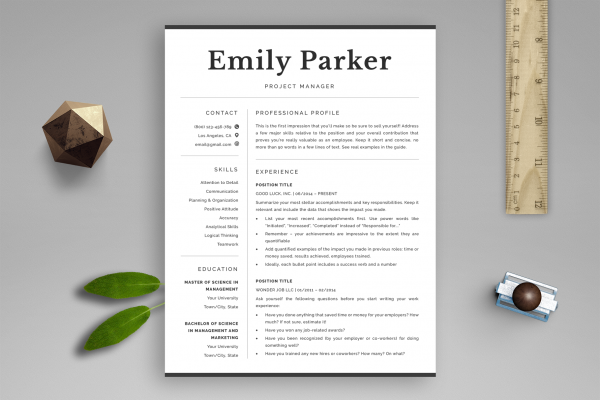 Resume Template and Cover Letter Template "Adam"
Get noticed and get hired with this creative resume template package! 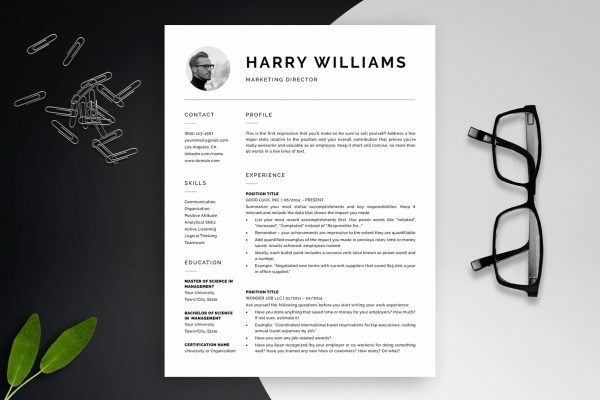 It includes an eye-catching yet professional resume template, matching cover letter and references templates, matching business card template, detailed instructions, resume writing guide prepared by HR experts, and a ton of tips and tricks to help you create an amazing resume. Great quality, the template has completely surpassed my expectations. Super easy to customize. 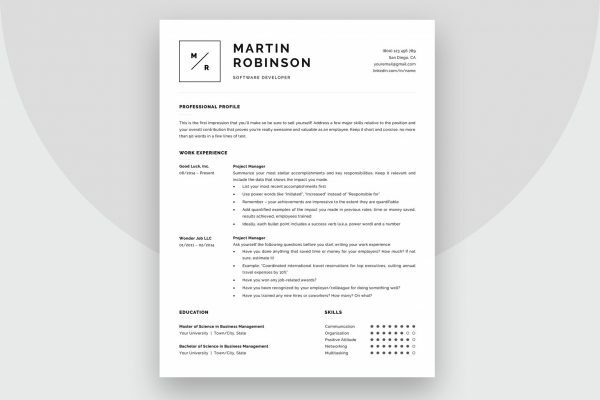 I’m really satisfied with my resume template. Very easy to use!